Buying car insurance online has become a breeze for car-owners in India. In fact, car-owners are nowadays spoilt for choices when it comes to selecting and buying comprehensive car insurance plans as there is a plenty of insurers such as SBI General Insurance. Everyone knows that this policy covers damage to their own vehicles apart from the mandatory protection against third party liabilities. But only a few are aware of the true extent of the coverage provided by a comprehensive car policy. There is only a fixed amount on offer for direct damage or part payment available if parts of the vehicle need replacement. If this shocks you and makes you feel insecure as a car-owner here is a cost-effective way of making your car more protected. Add-on covers cost less and fill those loopholes that a regular car policy can’t. Here are top 5 car add-on covers that don’t hurt your pocket and ensure better protection. This is perhaps, the most in-demand add-on cover among all especially in big cities with traffic congestion. Fender benders are common occurrences which result in damaged car parts. If your car parts get damaged in an accident a regular policy, however, will pay only a part of your claim after calculating the depreciation rate of the damaged components. And, you have to pay the rest of the amount of actual expense of renovation. When the car gets older, the depreciation rate increases and you have to shell out major portion of the entire claim. A zero depreciation cover can well be your saviour as it ensures that you will receive full claim on the value of damaged parts that need to replaced. As it doesn’t take depreciation of car components into consideration. Many car insurance providers including SBI General Insurance offer this add-on cover and the rate differs from one insurer to another because ZERO depreciation rate is determined on IDV by the percentage set by different insurers. The percentage is calculated on 3 parameters and it varies from one insurer to another. This is why different car insurance companies in India come up with varied zero depreciation rate. The cost of zero depreciation cover is Rs. 1992 at L & T Insurance and Rs. 958 at Cholamandalam for a Hyundai Accent car (1.5 GLS, Petrol, 5 seater and 1495 cc) registered on 1st April, 2016 in Kolkata which is a zone 1 city. The depreciation rate varies from one part to another. For parts made of rubber, plastic, tyre, tube, air bags and batteries and even paint as IRDA defines paint as a part material the depreciation rate is 50%. and 30% for fibre glass parts. For any other component of the vehicle the. If the age of a car is less than 6 months the rate of depreciation is nil and for a car more than 10 years old the rate is 50%. Zero depreciation add on cover is a must for high-end cars as the parts of these cars are very expensive and might cover up to 80% of the total claim. Since maximum depreciation rate is 50% you have to pay up to 40% of the claim amount. Another significant add-on cover for car-owners in India is engine protector. Engine gets damaged due to many reasons and accident and water ingress being the foremost of engine damage and this cover protects cars from both types of damages. The advantage of availing this cover is you don’t have to purchase a separate hydrostatic lock cover( an add-on cover specifically designed to cover engine damage due to water ingress). The cost of this cover differs among various insurer such as SBI General Insurance. For the same car two different insurers can quote two different price of engine protector cover. The cost of engine protector is Rs. 575 at Liberty Videocon and Rs. 766 at Future Generali for the same car as mentioned above. Engine gets damaged due to many reasons and hydrostatic lock is one of the most common of them. The financial loss due to engine loss is not covered by a comprehensive car policy. The engine of luxury cars is very costly and you might have to shell out up to Rs. 5 Lakhs if you don’t want to spend Rs. 500- Rs. 800 in a year for an engine protector cover. When a car breaks down in the middle of a road especially in a remote location it is a daunting task to find a garage or service center. This add-on cover offers useful benefits to the stranded car-owners. This add-on cover proves to be handy in many precarious situations such as fuel shortage, flat tire, battery related problems as it offers facilities like free towing service, assistance in arranging accommodation on emergency basis, taxi service and repair of minor breakdown on road. Like other add-on cover its price is not constant as well. The cost of roadside assistance cover is Rs. 149 at Future Generali and Rs. 285 at Liberty Videocon for the same car as mentioned above. This add-on cover is essential for those who are fond of driving long distance far away from the civic facilities. A simple tyre puncture can not only have them stranded for hours but they also have to spend hefty amount to arrange for alternative transport or even accommodation if needed. But if they are armed with this inexpensive add-on cover they don’t have to go through such an ordeal. Are you aware of the fact that certain parts of your car is called consumables and they are not covered by a comprehensive car insurance policy? Components like nuts, bolts, screws and oil are some of the consumable parts and collectively, these components are worth a significant amount for a high-end car. To avoid paying for the replacement of consumables you can opt for this add-on cover. The cost of consumable cover is Rs. 451 at Future Generali and Rs. 1,127 at SBI General Insurance for the same car as mentioned above. Usually, this add-on cover is available for cars up to 5 years old. Suppose, you have accumulated 50% NCB over a period of 5-6 years and then couldn’t help making one claim as your car is damaged caused by a minor accident. Isn’t it heartbreaking on your part to lose the entire NCB for just one claim? Yes, it certainly is and car insurers like SBI General Insurance know this too! That’s why they have come up with this add-on cover that keeps the accumulated NCB in tact even after making a claim . The cost of NCB protector cover is Rs. 902 at Future Generali and Rs. 1,578 at L & T Insurance for the same car as mentioned above. NCB protector cover keeps the NCB unaffected percentage for a maximum of 2 claims in a policy year. If you have accumulated 25% NCB or more you should invest in availing a NCB protector cover. The insurance requirement vary a lot among car-owners. Out of the 5 add-on covers discussed above some may not find all of them useful. Apart from these 5 major add-on covers there are some more such covers available such as key replacement cover, invoice price cover. One can avail them too if they meet their needs. Regardless of which add-on covers you eventually choose if they are chosen wisely they not only enhance the existing protection provided by comprehensive car plans but also help you save significant amount of money. 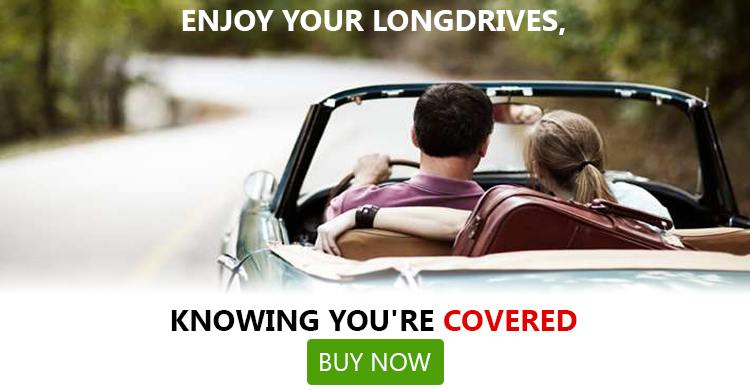 Once you select the add-on covers that you car needs you have to select the right provider. Since several different insurers such as SBI General Insurance offer add-on covers along with their base plans you have to pick the insurer with best price. The key to choose the right insurer is comparison. At GIBL.IN it takes a few minutes to compare leading car insurance providers in terms of price and availability of the add-on covers. Once you finalize on the providers you can buy car insurance policy and add-on covers right from the portal of GIBL.IN effortlessly.